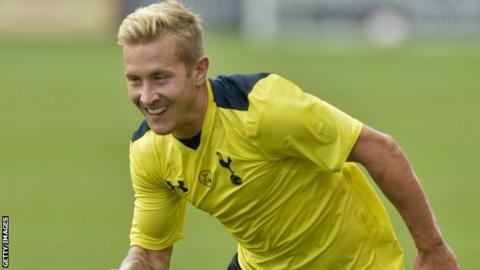 Tottenham midfielder Lewis Holtby has signed for Hamburg on a season-long loan with a view to a permanent move. The 23-year-old Germany international moved to White Hart Lane from Schalke for £1.5m in January 2013. Holtby scored one goal in 25 Premier League games for the Londoners, and spent the second half of last season on loan at Fulham. He failed to stop the Cottagers from being relegated the Championship, scoring once in 13 appearances. Holtby has played twice for Spurs this season, coming on as a substitute in the Premier League win at West Ham and starting the away leg of the Europa League tie against AEL Limassol. His departure was confirmed after Tottenham signed 24-year-old former France Under-21 midfielder Benjamin Stambouli from Montpellier for an undisclosed fee.